This assignment focus to analysis The Achievements of Augustus from Republic to Empire. This is a task based assignment. Here give the way and design to find out the Achievements of Augustus from Republic to Empire. 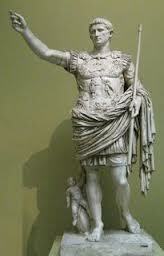 Here give some tasks like Create a monument that represents the accomplishments of Augustus and Present the monument and outline your idea and its relevance to the project requirements.